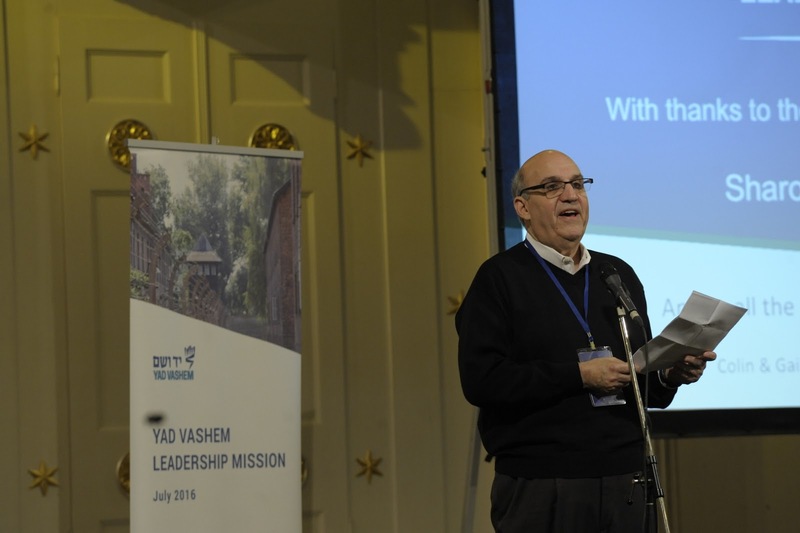 The Yad Vashem Leadership Mission began yesterday in Poland. 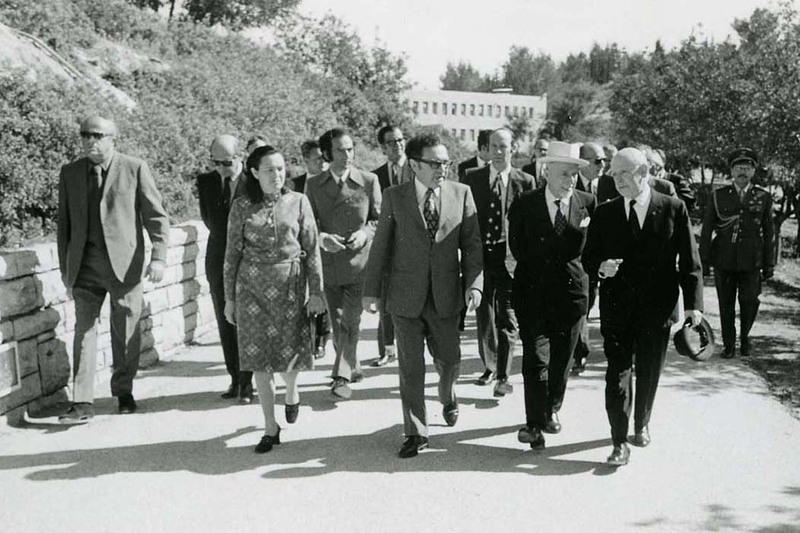 The Mission brings together Yad Vashem's friends and leaders from around the world to explore prewar Jewish life in Europe, reflect on the past, present and future, and connect to one another and to Yad Vashem. In Poland, the Mission will travel through Wroclaw and the Wolfsberg forced labor camp before spending a memorable Shabbat in Krakow with Yad Vashem Chairman of the Council Rabbi Israel Meir Lau. After Shabbat, the Mission will travel to Israel and begin a comprehensive, behind-the-scenes journey through Yad Vashem and their critical efforts made towards Holocaust remembrance and education. A longstanding, dear friend of Yad Vashem, Benjamin Warren, delivered the opening address for the Mission in Wroclaw, Poland. 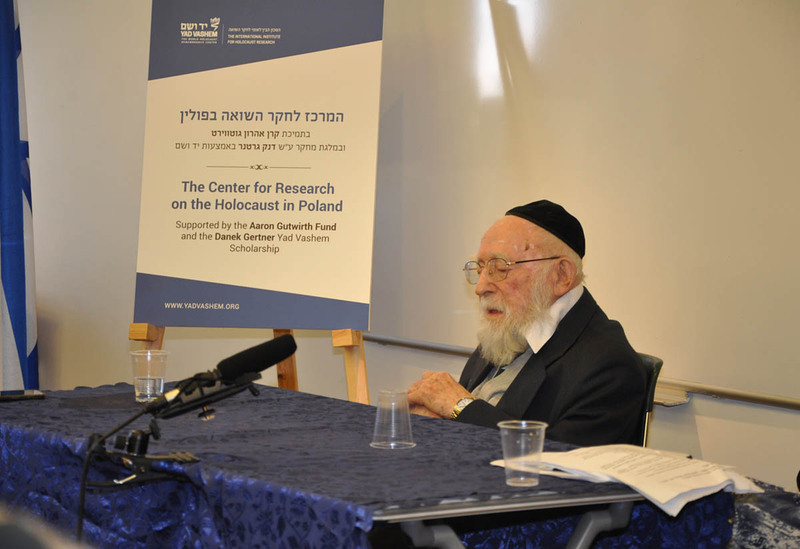 At this event, the Mission was greeted by the head of the Jewish community of Wroclaw, Mr. Alexander Gleichgeurchet. The following were Mr. Warren's remarks at the opening event of the Yad Vashem Leadership Mission. "On behalf of the participants of this journey, I would like to share with you my story, my connection to the Holocaust and the importance of Holocaust remembrance, which of course underscores the spark that causes each and every one of us to be here today. Let me start by introducing myself to you. I come from Houston, Texas. 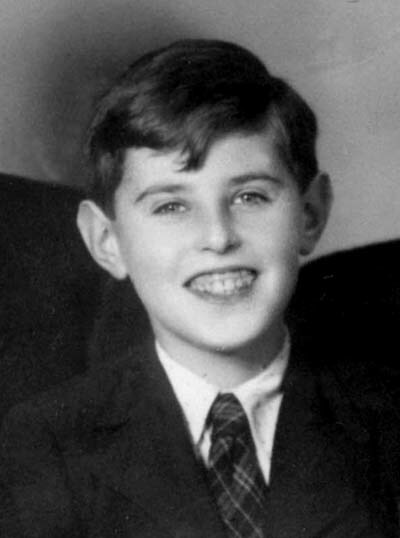 I'm the son of two Holocaust survivors: Martin Warren, who grew up and was educated in Warsaw, was arrested and sent to Auschwitz and then to Buchenwald from which he was liberated in April 1945 by the United States Army. This is the same camp that Prof. Elie Wiesel, of blessed memory, was liberated from at the same time. My mother, Naomi Warren, an extraordinary woman, who at the age of 95 continues to exhibit a zest for life in spite of a very difficult past, which took her from her home in Wolkowysk, Poland to Auschwitz, where her mother and first husband perished, then on the death march following the approach of the Russian Army to a women's camp Ravensbruk, that dark place where the Nazi's experimented on women in ghastly ways, then to Bergen Belsen from where she was liberated by the British Army on April 15, 1945. As a child growing up in Houston, Texas with two sisters, I wasn't aware of our parents’ very difficult past until I was a young adult. No doubt like many of you, my parents, whether the result of wanting to put their painful past behind them, or more likely the result of wanting to shelter, to protect their children from this horrific experience, to avoid wounding them, to avoid making them feel different from their friends whose parents were fortunate enough to miss this horror. Today much of my life revolves around a variety of activities targeted towards making the world a better place. None however is more important, as much a part of my DNA, than my commitment to carrying the "Torch of Remembrance" to honor my parents, to remember those who perished and also those who survived, whether it's through my deep commitment to Yad Vashem and its mission, or my deep passion to furthering Holocaust education at the Holocaust Museum Houston through the Warren Fellowship for Future Teachers. As the window closes on those brave and strong souls who survived, it becomes increasingly critical that those who follow carry on the responsibility of carrying the "Torch of Remembrance," which after all is the solemn purpose and goal of Yad Vashem. It's this responsibility, which I know each of you here today embraces, a privilege in the name of those who perished and those who survived, that I hope each of us further commits themselves to with this journey. 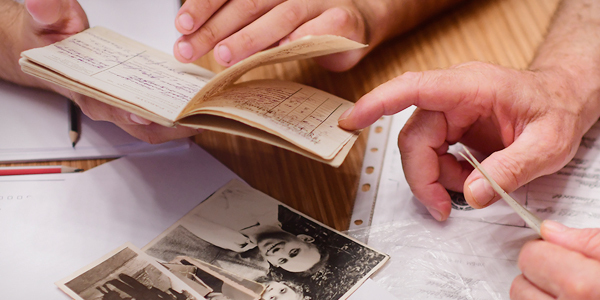 My personal story and connection to Yad Vashem, the World Holocaust Remembrance Center, takes me back to the year 2000, when our family made a journey to Israel and to Yad Vashem. When we visited the Archives at Yad Vashem and sought to take a look into the lost community that our mother came from, from Wolkowysk, we found a book, "The Miracles of Tyranny" that chronicled the life of Mom's first husband, Alexander Rosenbaum, along with her brother in Auschwitz, including numerous references to her time sorting bundles in the "Canada" unit, which was a much sought after job for prisoners. Fast forward to 2011, when my sister Geri and I made a journey to Germany with our cousin Elsa Spizdbaum Ross, to follow the tracks of her father whose whereabouts and fate ceased when he was arrested in Warsaw by the Nazis. Elsa never knew what happened to her father, who owned a very successful chocolate factory in Warsaw, until Yad Vashem and my dear friend Shaya Ben Yehuda took it on himself with the support of Yad Vashem's research team to search the records of Yad Vashem and those of the Bad Arolsen International Tracing Service of the Red Cross to see what they could learn about her father's past. What they uncovered was extraordinary. Including a trail that followed his arrest in Warsaw, an inventorying of his personal belongings, and a chronicle of his life as a slave laborer in an ammunition factory and internment camp outside of Warsaw. As the Russian Army approached, the story woven included a chronicle of the destruction of the munitions factory by the Nazis and the moving of the laborers to Buchenwald in advance of the opening of a new ammunition factory at a sub camp of Buchenwald named Schlieben. Unbelievably, the story continues with Elsa's father arriving in Schlieben and the tracking of his service in the munitions factory until he, along with 28 other prisoners, perished in an explosion at the factory. But the story doesn't end there. Included in the Bad Arolsen records was a photograph of a mass grave with a monument listing the names of the 29 slave laborers who perished, including Elsa's father. You can imagine the emotion that followed as my cousin Elsa, my sister Geri, Shaya Ben Yehuda, a guide from Yad Vashem's German Desk, and I, said Kaddish for my cousin Elsa's father in the beautiful, well-manicured cemetery in Schlieben. Now you can understand the closeness that I feel for Yad Vashem, for Shaya Ben Yehuda and his colleagues, who through their persistent diligence wove this incredible tapestry that chronicled the final chapter of my cousin Elsa’s father's life and allowed her the opportunity to bring closure to this haunting life experience. This is but a single story that now is part of Yad Vashem's beacon of light, the burning "Torch of Remembrance." No doubt many of you have your own stories. 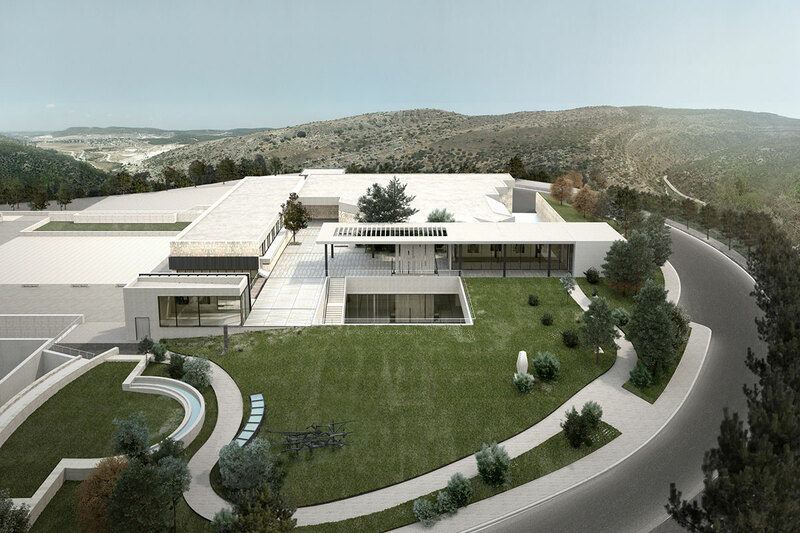 Hopefully my story underscores the critical importance of staying connected with Yad Vashem, of supporting its mission and its critical work, making possible the continued weaving of stories like Elsa's father for all generations of the future. To conclude, on behalf of our Leadership Mission participants and in advance of what will no doubt be a very emotional journey, I want to thank you Shaya, along with your extraordinary team, for weaving together the program ahead that will twine each of us to Yad Vashem and Holocaust remembrance forever. I also wish to welcome each of you who have traveled from Australia, from Canada, from Mexico, from the United States and from Israel for joining this journey and committing yourselves to adding to your knowledge of the Holocaust."